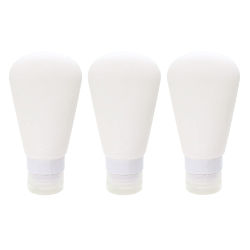 Soft, yet durable silicone makes bottles easy to squeeze. 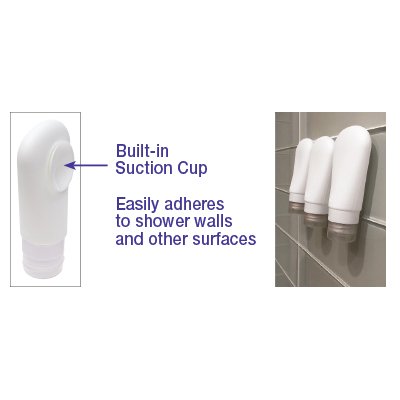 Each features a suction cup that adheres to the inside of the shower and other surfaces. No drip valve allows for mess free travel and easy dispensing, and their wide openings make them easy to fill and clean. 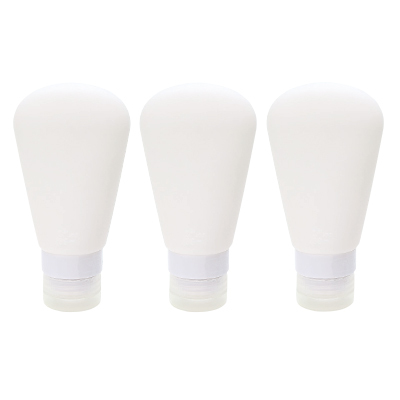 Perfect for shampoo, conditioner, body wash, face wash, lotion, hair products, and more.